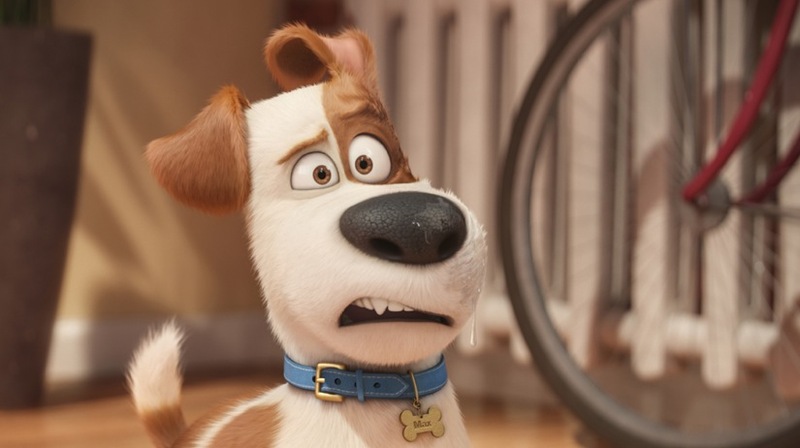 The Secret Life of Pets uses 3D in a gimmicky, fun fashion that works well for this type of movie. 3D depth isn't used effectively within this film and is mostly forgotten. Pop out 3D is the main focus as objects or animals fly out of the screen in a comedic silly over-the-top fashion. A few memorable 3D moments involved snakes popping off the screen. The gimmicky 3D scenes happen on a regular basis and are fun enough to mildly increase the enjoyment of the movie. What kind of wacky adventures do your pets have when you leave your home? Well, this movie tells you the story of a few household pets. The story itself remains simple, yet is enjoyable . It feels very familiar to the old Warner Brothers "Looney Toons" cartoons. The movie has a simple sense of humor that works well and tells a fun, lighthearted tale. The screenplay does some clever things with the animals and has some funny jokes that only the adults will enjoy. The movie is set is in New York City is and it makes good use of that city as a backdrop. The city of New York is a character unto itself and is more interesting and compelling because of this setting. The movie is focused on a few key animal characters and a some humans. 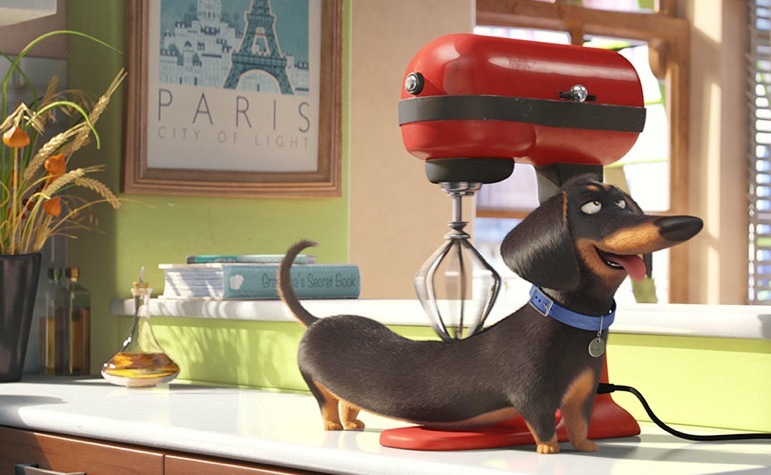 The main story of this film is focused on Max the dog, who has been living with a human named Katie. Katie adopts a second dog named Duke, and Max has to deal with living with this other dog. A few other animals live in apartment complexes nearby to Max and Duke including a dog named Gidget and a cat named Chloe. Another major animal character is a rabbit named Snowball, who is the villain of the movie. Snowball has a grudge against humanity and leads an underground gang of animals. The main plot revolves around the dogs Max and Duke, who are trying to get back home. Max and Duke eventually meet up with Snowball and have several zany adventures in the process. The movie does a good job of giving some of the key animals an interesting history . The back stories given are well done and gives the viewer a reason to care about the main characters. Sadly many of the secondary or third level animal characters are not given any back story or character development. I feel some of these superfluous characters could have easily been cut from the movie . The different species of animals characters can communicate with one another, but humans don't understand what the animals are saying. I really enjoyed this element of the movie because it kept two distinct perspectives. One perspective of the humans and another of the animals, and it makes for a more captivating narrative. The animals behave and animate in a fashion that suits their natural characteristics, and it works well. The movie has a simplistic art style that looks good. The movie has fairly good pacing but drags towards the third act. 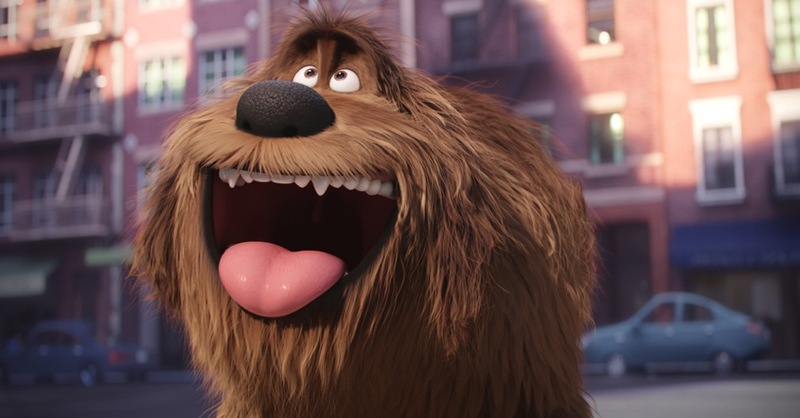 Overall, I enjoyed The Secret Life of Pets, and was surprised by how well made this film is. The movie has some problems, but overall the movie does a good job with the material that it had. 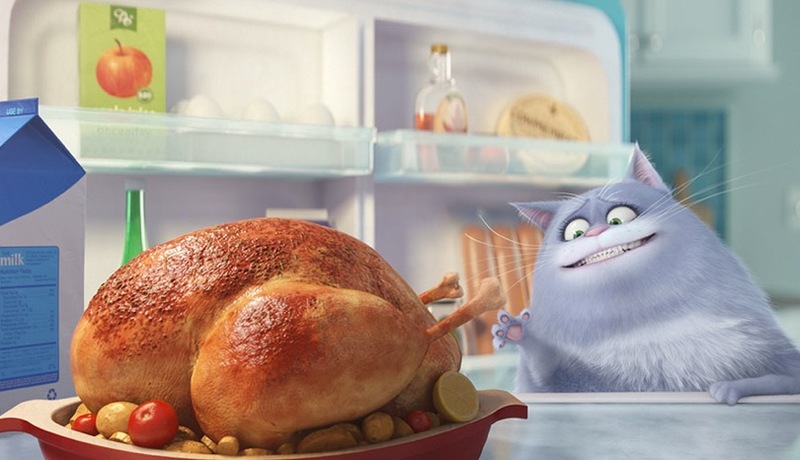 The Secret life of Pets is a funny light movie that the entire family can enjoy and I can easily recommend it . © 2016 NBCUNIVERSAL MEDIA, LLC.